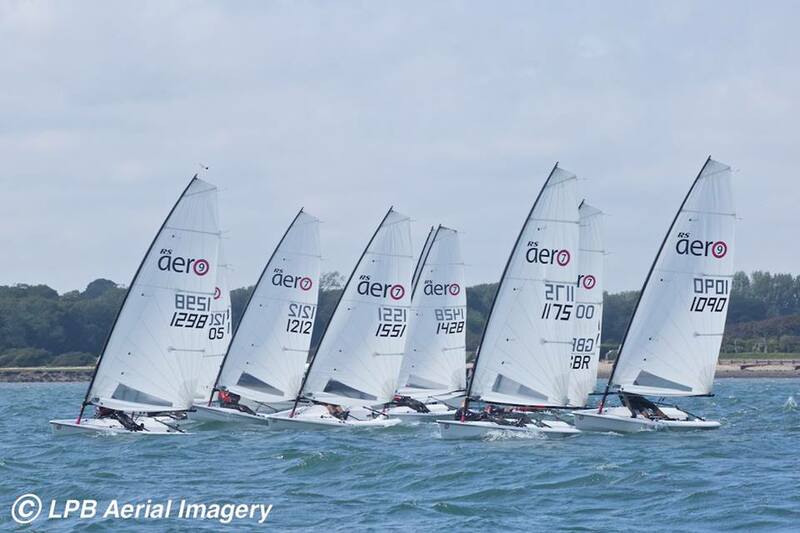 Forty-Four RS Aeros enjoy Lymington! 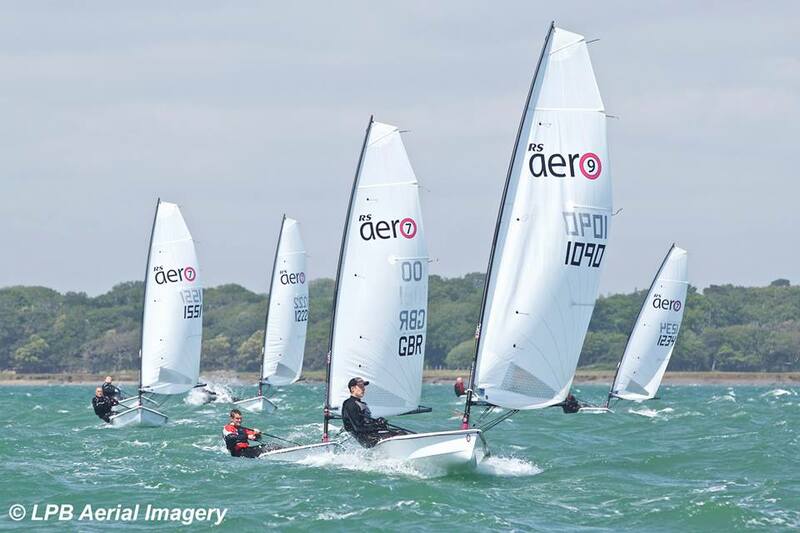 A new record of 44 RS Aeros pitched up full of anticipation, with the Western Solent producing a wonderful variety of conditions over the weekend. 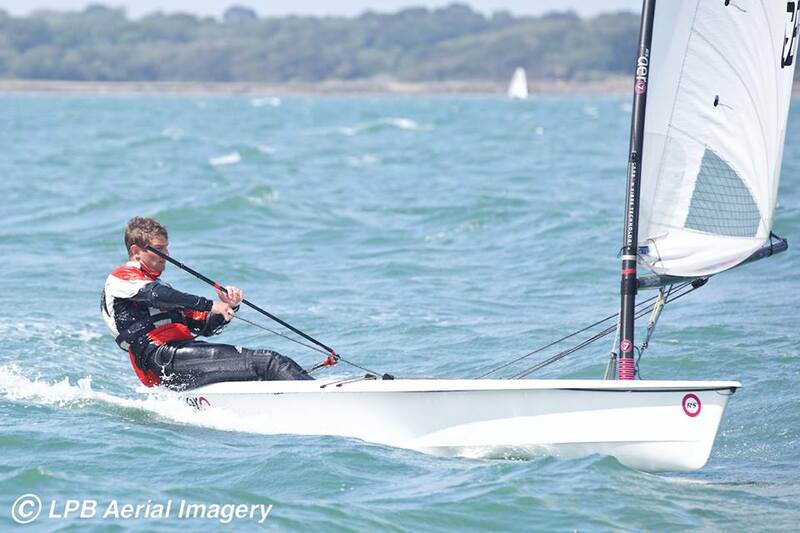 Time in the boat, prudent rig choice and tidal skills were some of the keys to success in the Aero fleet at Round 2 of the UK Series hosted by Lymington Town Sailing Club over the weekend of 13/14 June. The forecast for the weekend was shaping up to be a mixed bag, big winds due on the Saturday with a challenging western Solent chop and a dying breeze on the Sunday requiring good shift and breeze spotting. Some rig choices were to be made to optimise their regatta and build a series. 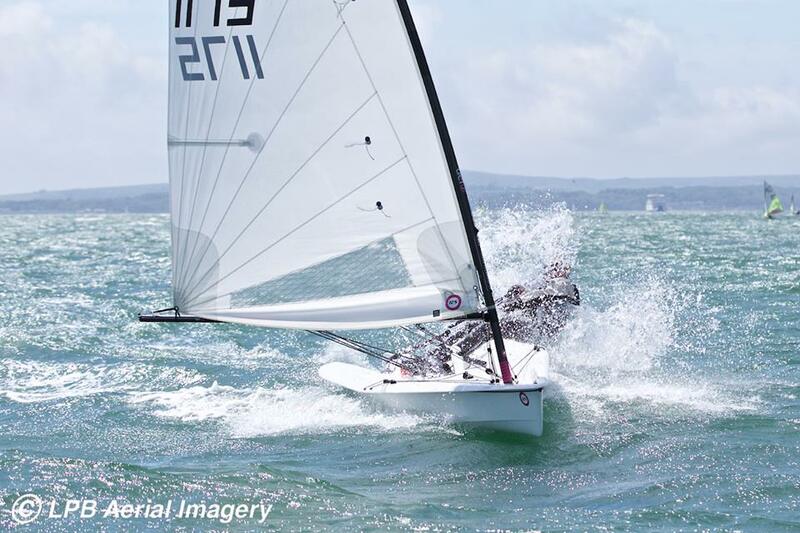 With some justifiable knee quaking in the dinghy park on Saturday morning many sailors opted to down size and the 5 fleet swelled with a few more adults than normal with sailors up to about 70kg opting for it. Race 1 was a mass start for all rig sizes, which turned out to be great fun and proved what a lot us had long suspected, if you have the optimum rig up for your size in a real blow there probably wasn¹t going to be much in it round the course between all the boats. This proved to be the case with David Ellis (Lymington Town) staying towards the front of the fleet in his 5 rig and coming out 2nd overall on handicap. Peter Barton (Lymington Town) led the 7s and the race to take the PY win. A mis-reading of the SIs and some herd like instinct caused all of the other 5s to sail one lap too few and be scored DNF, not a great start to the weekend! Races 2, 3 & 4 were back to single fleet starts. 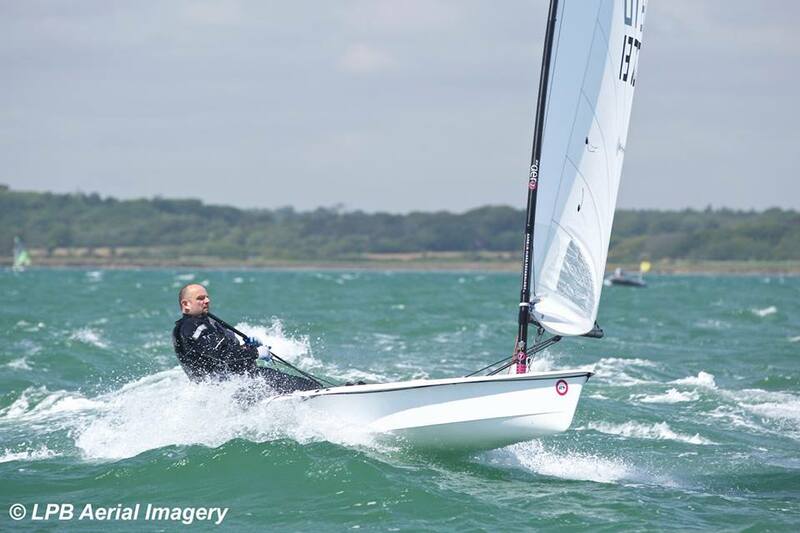 The 5s were dominated by David Ellis and Karl Thorne (Royal Lymington) trading first places over the day. David was predictably very quick offwind, as were some of the lighter youngtsers in the fleet, especially Matthew Caiger (Sevenoaks) who was a very creditable 2nd in race 2 demonstrating great skills in the tough conditions in Aero 1562 that had just been delivered to Lym - definitely one to watch out for. Karl being probably the heaviest in the fleet had good upwind pace, being able to power-up and drive through the chop, a distinct advantage when the tide turned and the beat effectively doubled in duration. 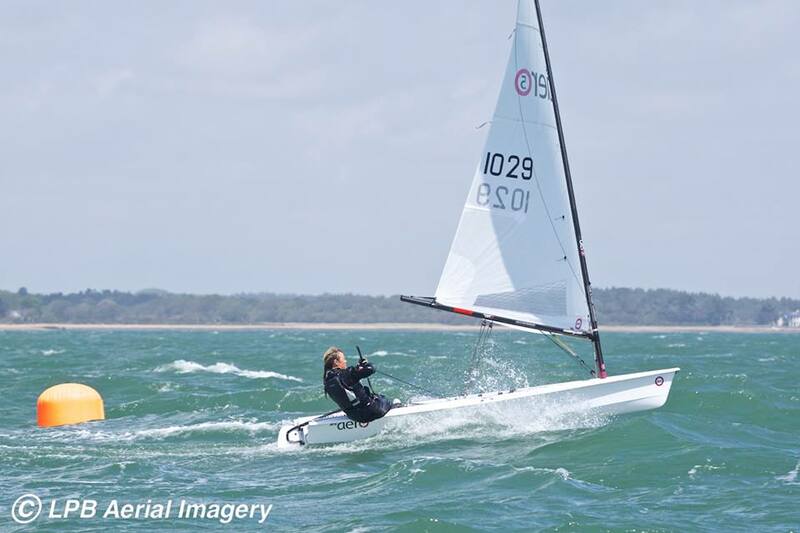 Former Radial sailor Phillip Gwyther (Lymington Town) came into his own with two 3rd places in races 3 and 4, borrowing his daughter¹s 5 rig. Full respect goes to Hugo Robathan (Oxford) aged 11 and 40kg and Ben Poe (Sutton Bingham) and Archie Hainsworth (Alton) both in the 50kg range for toughing out the conditions. In the 7s Peter Barton led the fleet enjoying some close racing with RS Aero designer, Jo Richards (Gurnard), with Giovanni Belgrano (Gurnard) and Peter Townend (Chelmarsh) not far back. The western Solent chop was at its largest providing a really challenging sail but with the huge reward of a fantastic sleigh ride on the long downwind. A hardy bunch braved the 9 rig on Saturday and made it around in good shape. Everyone got near the front at some stage with Richard Watsham (Starcross) coming out on top in the end. Ashore a weary but exited bunch of sailors traded their tales of the big day out in Lymington whilst fuelled by two kegs of sponsors Vibrant Forest beer, BBQ and live music supported by IT Computers. At the interim prize giving top performers were awarded ‘Where’s Harken?’ bobble hats. These can’t be bought, they can only be won! Sunday saw much calmer conditions, we started off fully hiking upwind but by the end of the 2nd race we were drifting and the smart decision was made to call it a day with 6 races already completed. The first race of the day (Race 5) was again a mass start affair, this time the 5s had a tougher time of it with the 7s and 9s enjoying their extra power. David Ellis once again prevailed to bank a win the 5s with Matt Thursfield (Chelmarsh) in a 9 and Peter Baton in a 7 tussling for line honours, Peter taking the PY win. For the second race on Sunday (Race 6) it became light. David Ellis won the 5s again, with Karl 2nd to secure a 2nd overall and Louise Johnson (Lymington Town) 3rd which gave her 1st Lady and 4th overall behind Matthew Caiger in 3rd and 1st Youth. 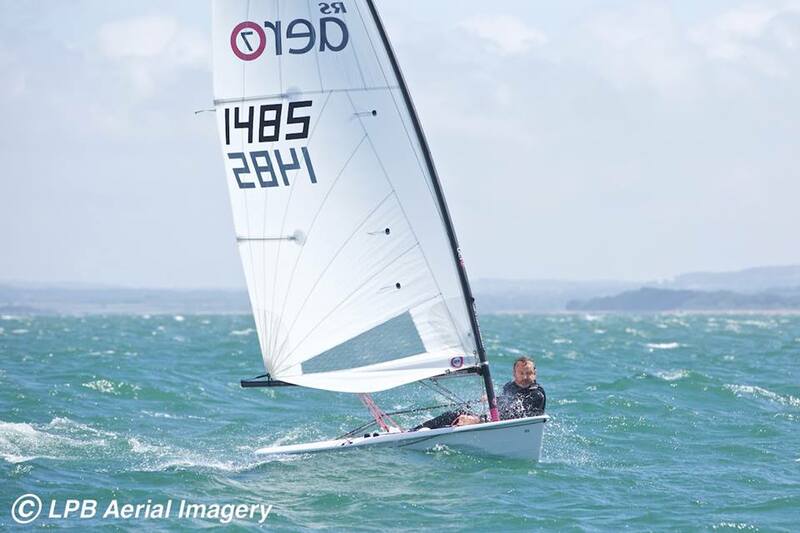 Peter Barton narrowly led the 7s with RS Aero newbies Nigel Wakefield (St Denys) and Alex Hayman (Royal Lymington) revelling in the lighter conditions. Matt again led the 9s, this time ahead of Tom Kennedy (Thorney Island). Overall Peter won the 7s with Jo 2nd and Alex and Nigel coming through to 3rd and 4th with good results in the lighter breeze. Richard Watsham nailed the 9s overall from Aussie Aero Ashes champion, David Rickard (Gurnard), and Tome Kennedy. A fantastic array of prizes were supplied by Harken, Magic Marine, RS Sailing and Wildwind. Many thanks must go to the Lymington Town SC and its army of volunteers for a great weekend. We were blessed with generous sponsors that all helped contribute to making this event such a success, these included; Harken UK, Vibrant Forest Brewery, Magic Marine, RS Sailing, Wildwind, IT Computers and LPB Aerial Imagery. 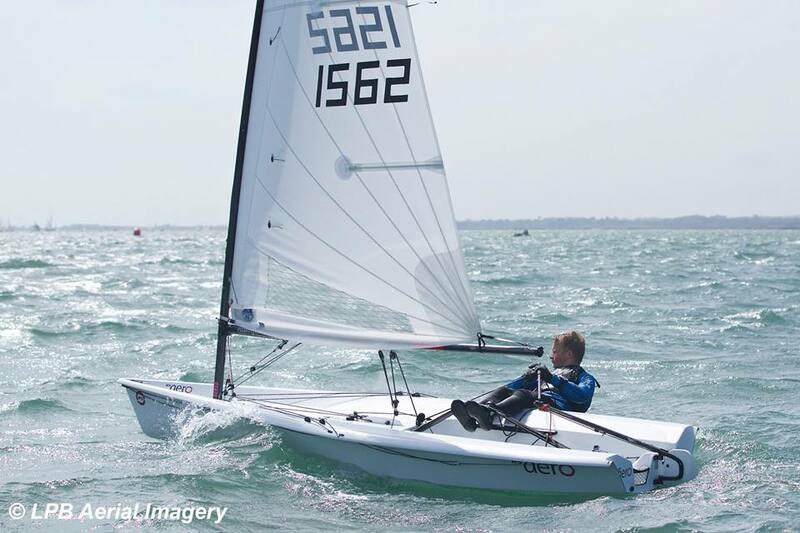 Roll on the Nationals in Weymouth over the August Bank Holiday weekend! - Races 1&2 Saturday; were 20kn, gusting 25kn, with wind against tide producing a very challenging seaway. - The large numbers of DNFs in Race1 was not due to the conditions but most sailors mistakenly stopping a lap early! 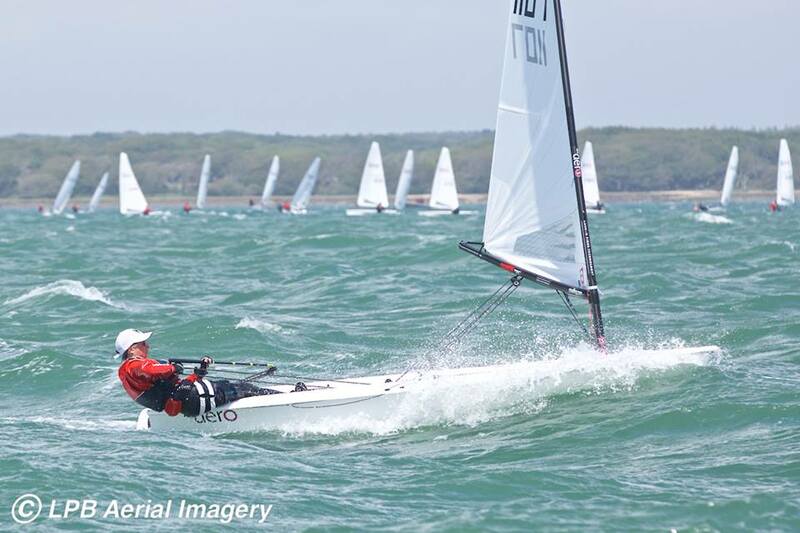 - Races 3&4 Saturday; the tide had turned making the Solent flatter. - Races 5&6 Sunday; the wind progressively died from full hiking to drifting. - A rig number after a name denotes a change of rig on Day 2 (new entry). - Races 1&5 (the first race each day) also combined as a mass start PY race and those additional results are posted too. Due to the large numbers finishing one race those 'unofficial' results have generously been given 1 discard!